TOMORROW (in Techrights) will be all about the USPTO — a system so severely ruined/tainted by patent trolls that it’s widely regarded as the model not to follow, yet the EPO is trying to become more like the USPTO (before the ongoing reforms which actually repair the USPTO). Nowadays, under Battistelli, the EPO even markets software patents. Today’s EPO is in shambles because of Battistelli’s coup which removes people who openly don’t agree with him, terrifies people who secretly disagree with him, and installs (in power with astronomical salaries) many of his cronies, usually from France/INPI. Battistelli has made the EPO a laughing stock and an embarrassment to Europe. 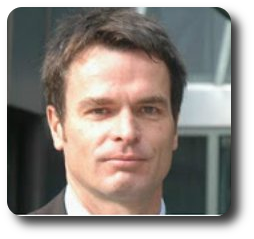 Not too long ago Team Battistelli added a French Chief Economist (Yann Ménière) who seems more or less like a Battistelli “yes man” or Pet Chinchilla ([ref 96056 reference here]) who will be speaking for the EPO in Australia pretty soon (we mentioned that a few days ago). What does the previous/former Chief Economist think? Obviously something very different. He no longer needs to be a Battistelli “yes man”. His salary does not depend on it. The continued issuance of high quality patents is the key to preventing the widespread activities of troll-like patent assertion entities in Europe, a new report from the European Commission’s Joint Research Centre has concluded. Based on work undertaken by a team led by the centre’s senior fellow Nikolaus Thumm, a former chief economist of the European Patent Office, Patent Assertion Entities in Europe. Their impact on innovation and knowledge transfer in ICT markets takes a detailed look at the activities of PAEs in Europe and explores how these may develop under the Unified Patent Court regime. In addition to ensuring high quality patents, the report also recommends that policy makers focus on enabling transparency around patent ownership, ensuring excellence at the UPC and providing more clarity around FRAND licensing and standards essential patents. The former Chief Economist of the EPO, in that case, essentially warns that patent quality declining (what the EPO does under Battistelli), if this continued, would be a boon to trolls. Battistelli is the trolls’ friend. Does he mind? Does he even know? The man is patently clueless and dangerous. A new report by respected economists under the European Commission has found that problems of patent assertion entities in Europe could be better controlled if patent quality stays high in the region. It also found that the majority of patent assertion entities in Europe have focused on vulnerable targets – mainly in the telecommunications sector – and the report provides significant research on such entities operating in the European Union. The findings shine light on the key role of standard essential patents, with suggestions for policymakers and predictions about the impact of the prospective changes to the European patent system. Looking at MIP, we haven’t yet found coverage of it (maybe we’ll find some later), but it did say that “[p]atent prosecution is taking place against a backdrop of the press claiming many patents should not have been issued, allegations that patent examiners shirk their responsibilities and the technology industry being exasperated by the Alice aftermath” (actually, Alice is improving patent quality, which is good). IPR-intensive industries generated more than 42% of the EU’s economic activity in the period, with the total value of that activity amounting to €5.7 trillion. The majority of EU trade with the rest of the world also stemmed from IPR-intensive industries, the report said. These are lies right there in the numbers (even MIP refuted these numbers 3 years ago) and in the statement from the Liar in Chief, Benoît Battistelli. It has nothing whatsoever to so with SMEs. These are the same utter lies which he used to promote the UPC. With patent trolls imminent and already arriving at London (because of his policies that opened the floodgates to crappy patents), those who will suffer the most are European SMEs.